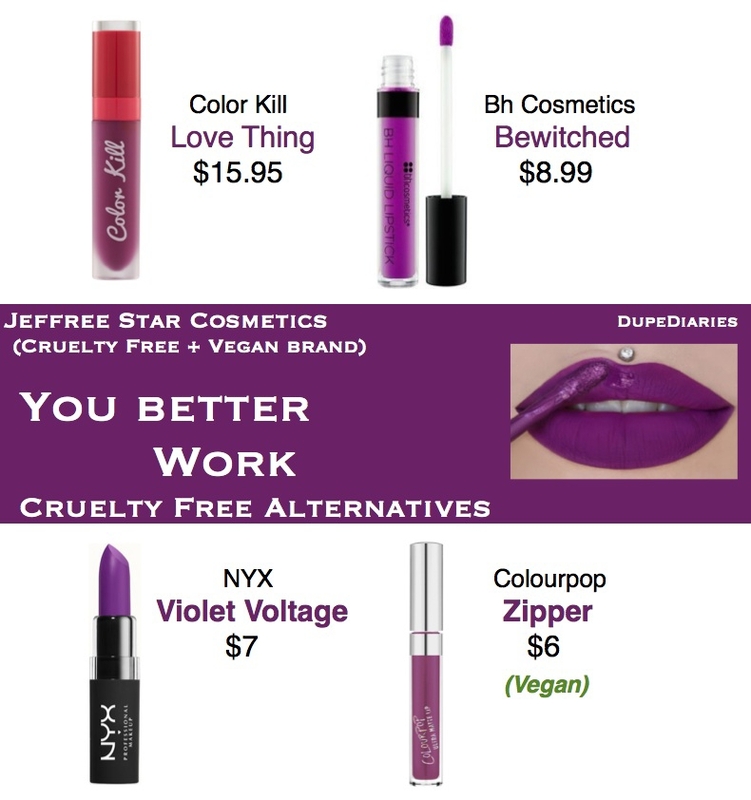 The following dupes/alternatives were found prior to the release date of the Jeffree Star Cosmetics “You Better Work” liquid lipstick. I cannot say that these are going to be exact dupes, but I did go off the swatches posted on instagram by @JeffreeStarCosmetics / @MissJazminaD as well as on Jeffree Star’s snapchat. So hopefully these will be close enough. I will not personally be purchasing this liquid lipstick from Jeffree Star Cosmetics so any further dupes for this lipstick after it releases will be from others’ discoveries (With credit where credit is due).